Now, that’s a flag. 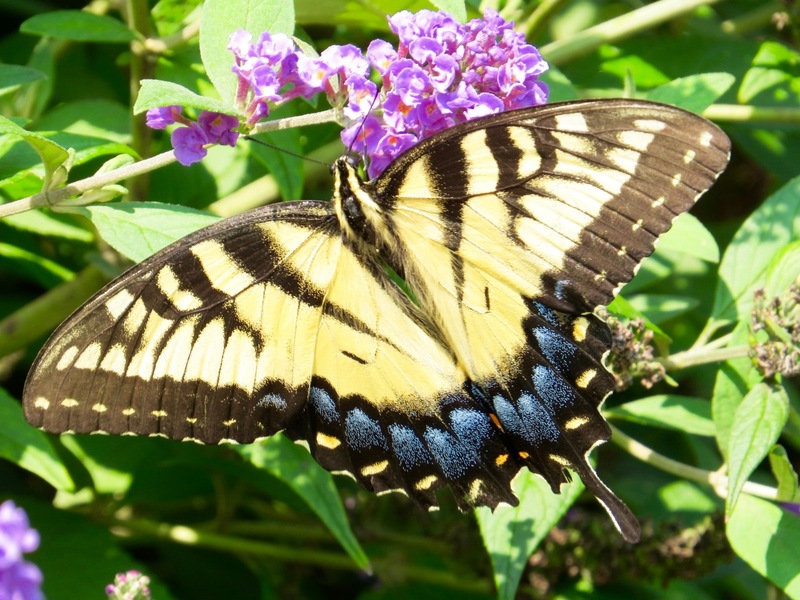 Eastern Tiger Swallowtail. Another specimen. This one was working so close to me that I could put my phone next to it to measure the wingspan: slightly longer than 5″. Open up this image to get a sense of the magnificence of life scale. 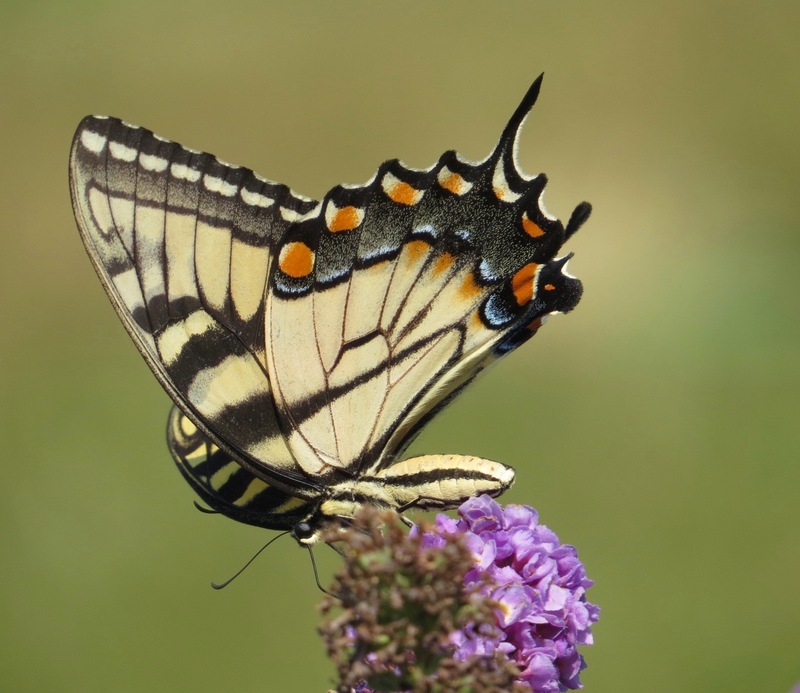 Note that one of the swallowtails is missing: it may have ended up in a bird’s beak.